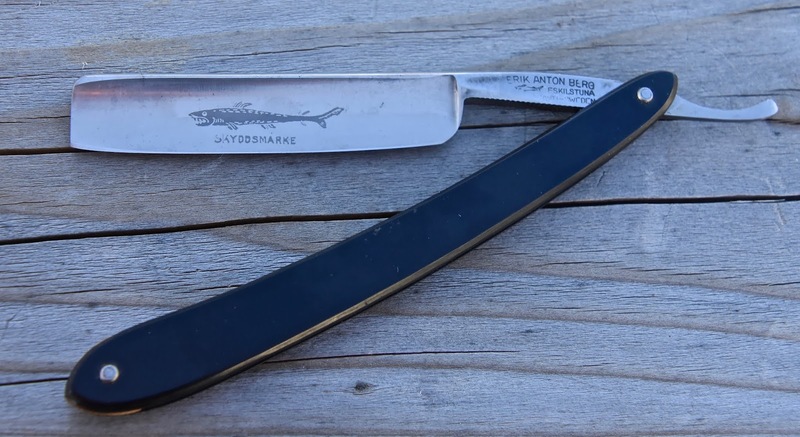 Ebay produced this Erik Anton Berg straight, with a really nice "Swedish Mackerel" etch on the blade (it's Eriks trademark, and it's supposed to be a shark). so sharp is would effortlessly plow up a wave of hair off my arm, leaving a smooth path behind. Now my arm looks a little weird. A better picture of the etch. 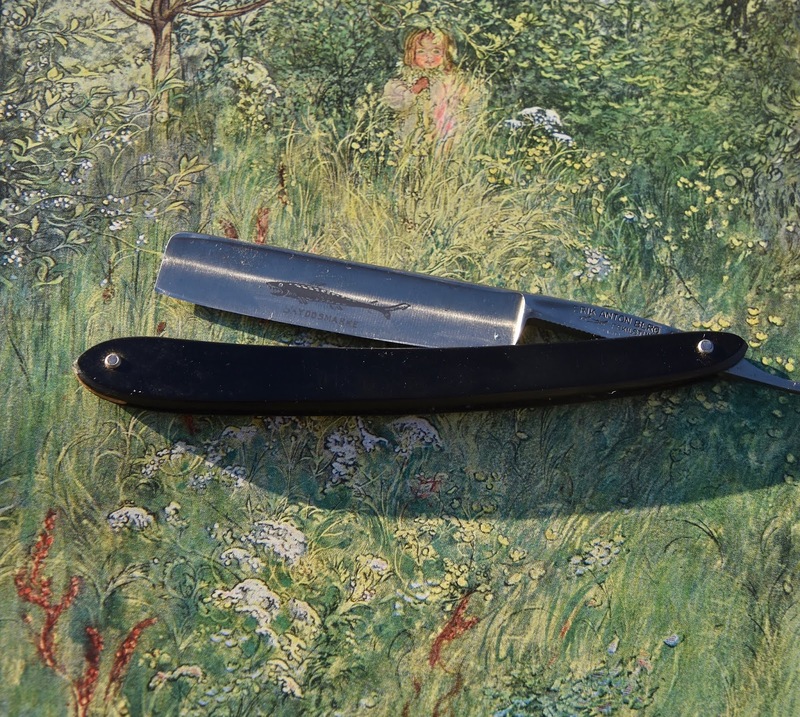 I'll be using this one to shave this week. The etch does not look like a shark. Neat blade.